MAKE SURE THAT THEY FIND WHAT THEY ARE LOOKING FOR. AND EVEN MORE. Who works designing websites knows it well: the most important studies in usability can teach many things about the effectiveness of a search form. In this case, “effectiveness” means the ability to turn a visitor — even a casual one — into a buyer, generating a purchase.  Let’s make an example: today five users will visit your site. 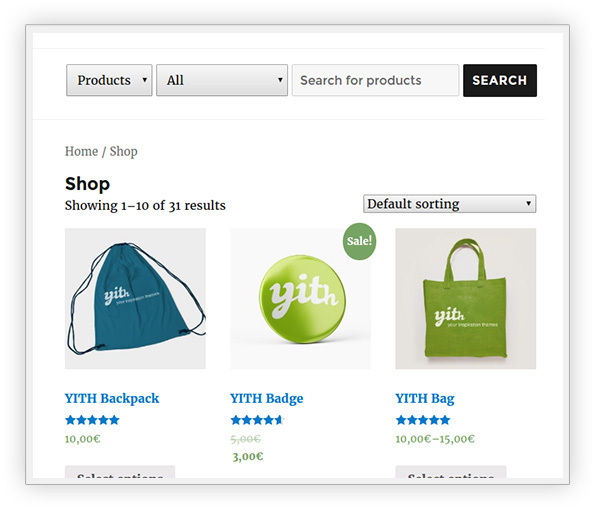 Three of them will use the search form in the page, looking for a product. You only have seven seconds to give these users what they want, before they decide to leave your site and search somewhere else. 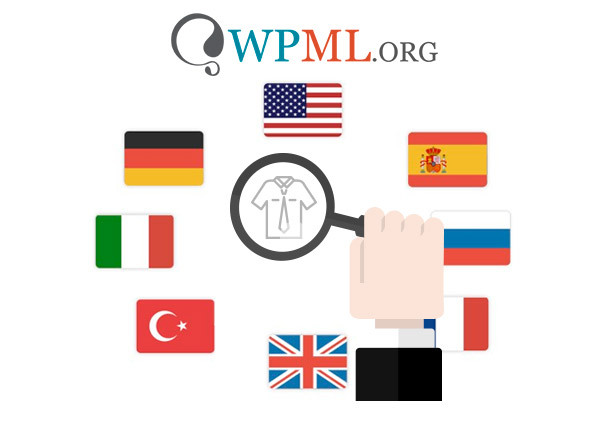 The features of a great search form are those that make all the catalogue products easy and quick to find, thanks to an immediate search that also allows using tags, categories and product codes to look for a product. 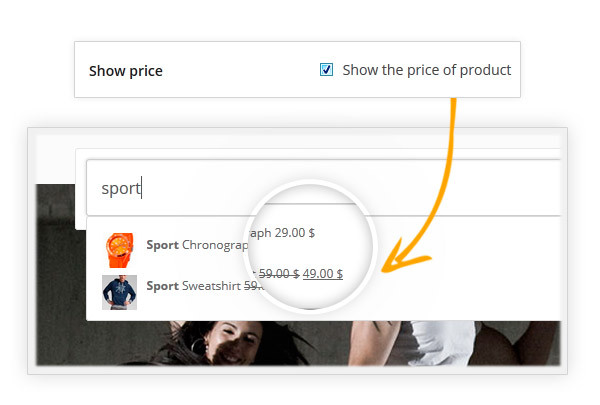 Plus, great features are also those who transform the search in a marketing tool, letting you show a product preview that perfectly suits to users’ needs, or highlight particular discounts and promotions in the result search. Researches on customers of online stores show that one of the main reasons that brings customers to abandon their cart before completing the purchase is the difficulty navigating through a website. We are so used to search bars that we require them to be immediate and promptly provide us with what we are after. Consider Google and Facebook: we use their search bars every day and we take take them for granted, but what if they suddenly stopped working and showed no results? Or maybe they would display unrelated results, wouldn’t we be disappointed? The same things happens in your store in case you don’t have an optimized search bar, and it’s never a good idea to disappoint our customers. 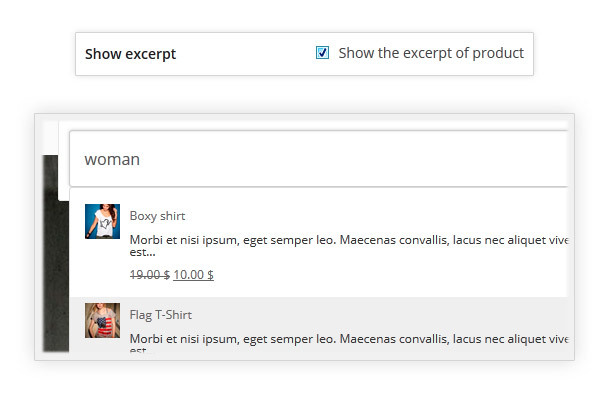 Updated: Extend the reserch to product tag and category when post type is "all"
Added: Extended the research on page if element types of search is "all"
Nice extensionFirst I was using the free version and I was satisfied. I contacted YITH about the pro version and decided to go for it. It is very good and has many options on the administrator panel, very neat layout. Many great features and awesome support!Being able to exclude out of stock products is my favorite part but this plugin is really well developed! Hi, Espoir! The search bar is usually added to the header of the theme. 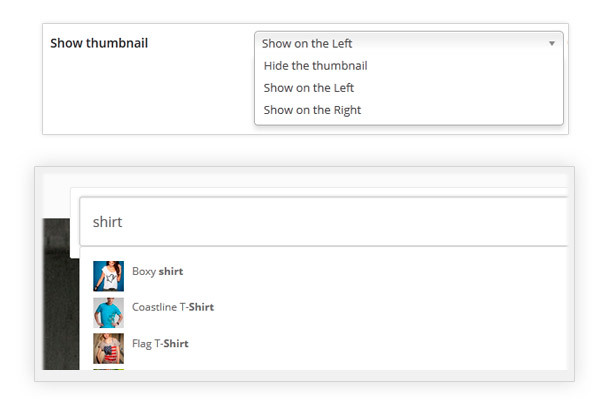 The header can be sticky (fixed when you scroll the page) by settings, for example, our latest themes have this feature. 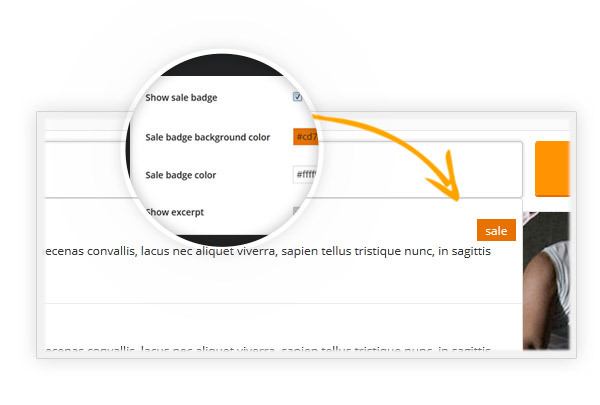 By adding the search bar widget to a sticky header will make it fixed when scrolling the page. no, unfortunately, it is not possible at the moment. I hope you can however get the best out of the plugin as is. Unfortunately, that is not possible with our plugin! 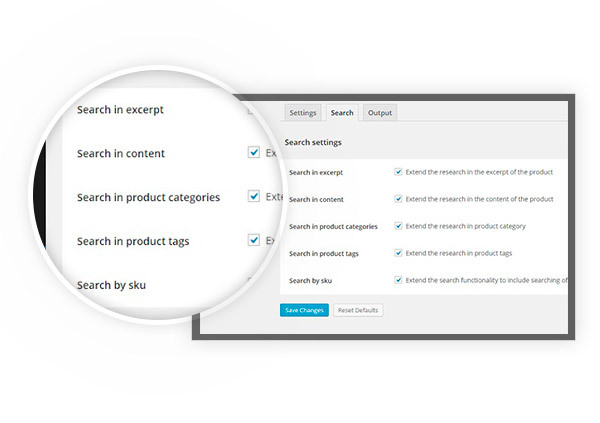 It is not possible with this plugin to search only for the category of that page. if you are experiencing issues with the premium version the best I can suggest you is submit a support ticket and our devs will be happy to help you. You can submit a support ticket at https://yithemes.com/my-account/support/dashboard/. 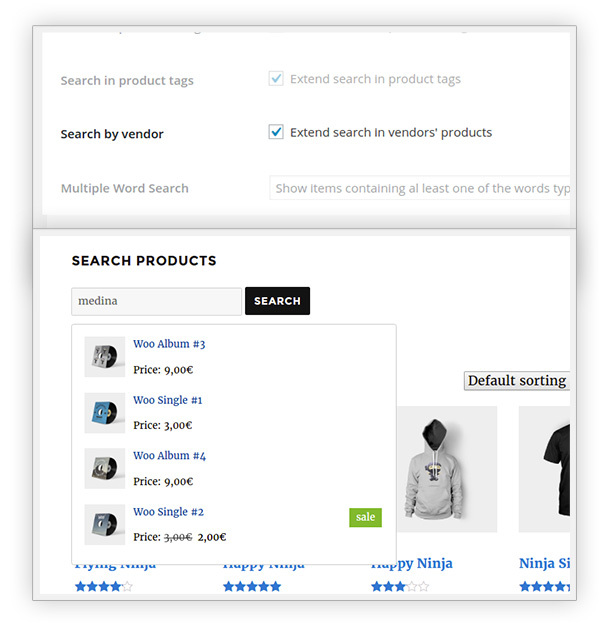 If you are using the free, you can open a thread on the free forum: https://wordpress.org/support/plugin/yith-woocommerce-ajax-search.